MCGA has partnered with the Minnesota United since they became a Major League Soccer team in 2017. The partnership continues to be a terrific opportunity for MCGA to connect with a young, enthusiastic fan base at Minnesota United matches. 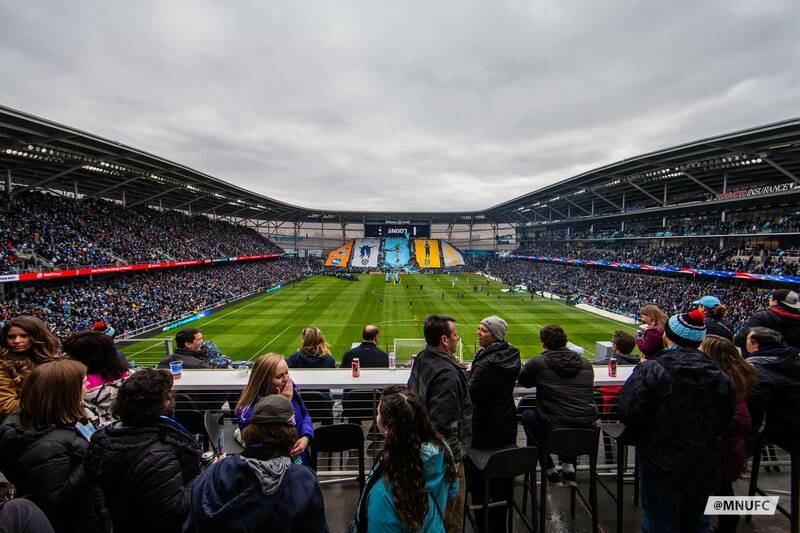 Previously playing at the University of Minnesota’s TCF Bank Stadium, the United debuted at Allianz Field in St. Paul, which has generated tremendous excitement for the upcoming season. MCGA will gain excellent exposure during the season as the soccer club expects to sellout the 20,000-seat stadium throughout the summer. At each match, soccer fans will have the opportunity to learn more about the state’s corn farmers via in-stadium signage, in-game announcements and more. MCGA Day with the Minnesota United will take place Aug. 4 this year. Maizey will be onsite for the afternoon interacting with fans, who will enjoy corn-focused activities before and during the match. And there is more to come with the Minnesota United in the coming months: Follow the MCGA blog, Twitter and Facebook throughout the season for updates!